Below you will find an article that I wrote concerning out of Jurisdiction arrest and detainment in RI. This article does not specifically pertain to car accidents or personal injury claims in RI. However, it is possible that an out of jurisdiction arrest could involve a car crash where someone is injured as a result. In fact in ceraso there was a serious accident. Also the information could pertain to the intentional tort of false imprisonment. In State v. Ceraso, the Rhode Island Supreme Court determined that, “In the absence of a statutory or judicially recognized exception, the authority of a local police department is limited to its own jurisdiction.”STATE v. CERASO, 812 A.2d 829 (2002), citing Page v. Staples, 13 R.I. 306 (1881). It appears that Hagan did later carve out a judicial exception for out of Jurisdiction officer’s investigative activities for transporting a suspect for a breathalyzer test. Nonetheless the general principals and law set forth in Marran still apply today. The statutory authority or judicial exceptions to make an arrest or take police action under certain circumstances is in derogation of the over century old common law that police were limited to their own jurisdiction. A detainment is either an arrest or the functional equivalent of an arrest because he was not free to leave. In Hagan, Portsmouth Police arrested the defendant for drunk driving. Id. Portsmouth detected an error in its breathalyzer machine. Id. Portsmouth contacted the neighboring Middletown Police. Id. Portsmouth transported the defendant to Middletown to use Middletown’s breathalyzer. Defendant was charged with driving under the influence of liquor. Id. The Hagan Court decided that, “A police officer may take a prisoner already in lawful custody to another municipality to carry out legitimate law enforcement duties. However, the limited authority of an officer to make an arrest outside the boundaries of his or her municipality remains unchanged” State v. Hagan carved out a limited exception allowing police to take a defendant already in custody across town lines. It is pertinent that the RI Supreme Court is discussing the issue in terms of authority and the power of the police. 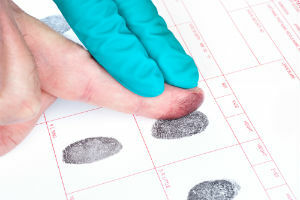 This case clearly distinguishes an action such as an arrest or detainment from legitimate post-arrest-defendant-in-custody law enforcement investigation activity. If there is no authority to make an arrest absent a statutory exception then there is no authority to detain. An out of jurisdiction police officer does not have the power or authority to detain a person awaiting the arrival of a police department with power to effectuate an arrest. There is no case law establishing a judicial exception allowing an out of jurisdiction police officer to detain someone in order for police officers within that jurisdiction to investigate and arrest. The statute and case law speaks to the ability of an out of jurisdiction officer to make an arrest. These statutes do not envision that a police officer without arrest powers can detain a suspect because a detainment is the functional equivalent of an arrest. If the Court allows out of jurisdiction police officers to detain, it will create an exception that will eviscerate the rule. Out of jurisdiction officers could wander the state and detain relying on other departments to arrest. In STATE of Rhode Island v. Robert J. BJERKE.697 A.2d 1069 (1997) the Rhode Island Supreme Court stated “It is well established that whenever a person is detained by state authorities, even if briefly, the Fourth Amendment is implicated and the detention must be in conformance with the strictures of that amendment. See Delaware v. Prouse, 440 U.S. 648, 99 S.Ct. 1391, 59 L.Ed.2d 660 (1979); Terry, 392 U.S. at 18 n. 15, 88 S.Ct. at 1878 n. 15, 20 L.Ed.2d at 904 n. 15 (“the Fourth Amendment governs all intrusions by agents of the public upon personal security,”); see also State v. Halstead, 414 A.2d 1138, 1146 (R.I.1980). § 12-7-19 Arrest after close pursuit by officers from cities or towns. – Any member of a duly organized municipal peace unit of another city or town of the state who enters any city or town in close pursuit and continues within any city or town in such close pursuit of a person in order to arrest him or her on the ground that he or she has violated the motor vehicle code in the other city or town shall have the same authority to arrest and hold in custody the person as members of a duly organized municipal peace unit of any city or town have to arrest and hold in custody a person on the ground that he or she has violated the motor vehicle code in any city or town. Article by Rhode Island Personal injury Attorney David Slepkow 401-437-1100 helping clients with pedestrian accidents, auto accidents, slip and fall as well as other personal injury claims.